Rogue trader! Rogue nation? RT — Renegade Inc.
We have managed to locate the rarest of things – a banker that actually went to prison for financial malpractice. But what should be a story of crime, punishment and justice, has another chapter with a potentially political subplot. Having served his sentence, the so-called ‘rogue trader’ who cost a bank around £1.3 billion is now in the fight of his life to stay in the UK, a country he has called home since he was 12. 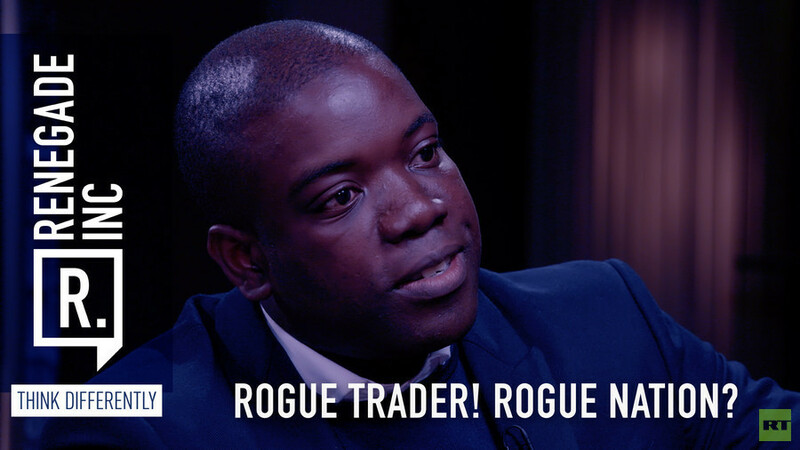 Host Ross Ashcroft speaks to Kweku Adoboli, the former UBS trader, about the culture of banking, his experience of the judicial system, and why he is now fighting the Home Office against deportation.